We provide high standard LED signs for all types of educational instituion. Our LED signs have a wide variety of sizes and shapes. We offer both single line and double line billboards and include all the necessary equipment for proper content transfer and management. The LED displays can be used in a lot of educational related events and situations. We offer LED signs that can be used inside and outside. They can display such diverse information as clock, date, directional information for students within the school, college, or kindergarten buildings. LED displays are also used for communicating relevant information in any type of school events Proving information to students and teachers, they can show welcoming signs, messages and logos. LED screens are frequently used for informing about tests courses and meeting events and they can also provide information about security measures times for drills, fire alarms and other emergency events. Apart from their primarily informational applications they can advertise school-related content to potential affiliates or sponsors. 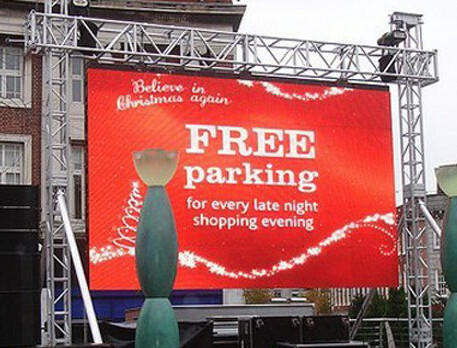 All LED billboards are environment-friendly, they are non-disruptive as they do not emit any sound and they can be used for almost all communication purposes. LED signs are highly effective display devices that enable a continuous and dynamic flow of important information. Content can be changed or updated instantly.